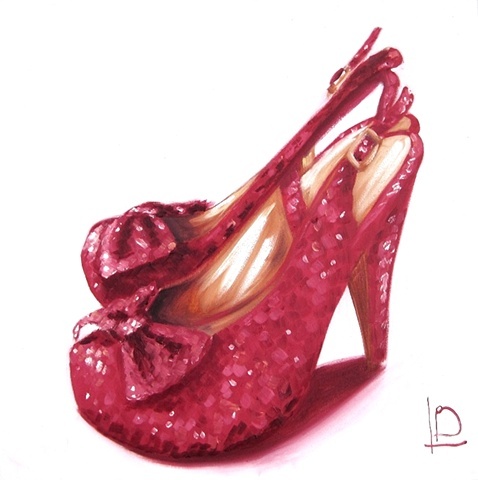 When Dorothy Grew Up, she put on a pair of sparkly red slingbacks, with glittery bows on her toes. If you're a fan of The Wizard of Oz, this is the perfect painting for a grown up Dorothy. If you're more of a Toto- but love your red heels this original painting on gallery wrapped canvas is a super addition to your collection. The background colour is a very pale lilac/pink. It's almost white, but I've warmed it up a little.